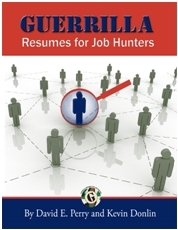 Guerrilla Job Hunting - Qualify your prospects. Line up all three elements successfully in one job and you’ll triple your income. Try using the One Minute Resume as your calling card.